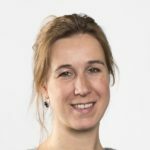 Hanne’s research interests include nutrition and lifestyle determinants in the etiology of chronic diseases, especially cardiovascular diseases. She has a particular interest in how mineral metabolism disturbances affect cardiovascular disease risk. During the last years, she gained extensive experience in doing independent and collaborative research including, statistical analyses and interpretation of data, drafting scientific manuscripts and presentation of research findings at national and international conferences.